Steckborn, Switzerland is a magical place; because it is where Bernina's are designed and manufactured. 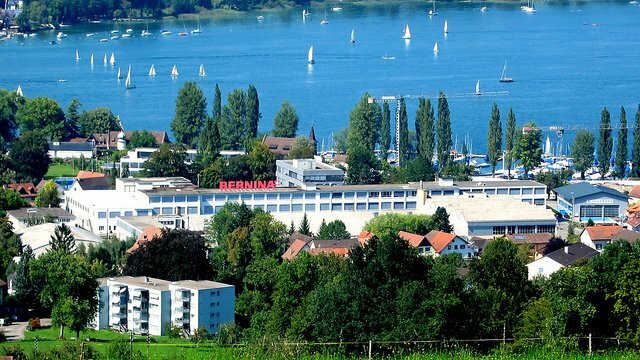 The Bernina Company was established in 1893 and is still owned and operated by H.P. Ueltschi. H.P. Ueltschi is the grand-son of the founder Fritz Gegauf. 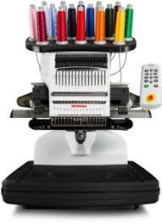 Bernina machines are best known for their Swiss craftsmanship, innovations and longevity of the product. operating system for embroidery machines. Bernina is still the forerunner today in the industry. Bernina 9 Hook, paintworks and crystal work programs. 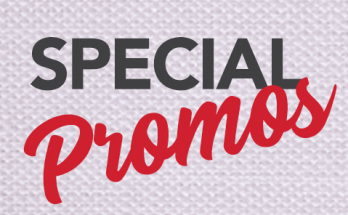 What makes up the complete package for Bernina machines is their phenomenal education department. and education department is part of the package when you purchase a Bernina. No wonder people who sew say "Nothing Sews Like a Bernina. Nothing." Please use one of the follwing links to start you Bernina experience. 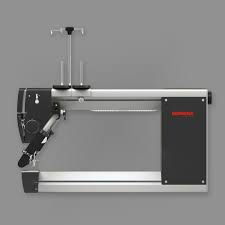 Please use the above link for Bernina's homepage to view all products. Please use the above link for Bernina's "We All Sew" which has a wealth of sewing projects. 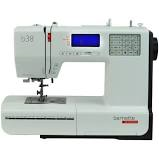 Financing makes it easy to own a Bernina Machine. Apply now, and make your dreams of owning a Bernina a reality. We are proud to service all your Bernina needs at one of our three locations.